Sigiriya/ Dambulla/ Polonnaruwa – World Heritage scared city. Pinnawela – Elephant Orphanage at Pinnawela was started in 1975 by the Department of Wildlife on a twenty-five-acre coconut land overlooking the river MahaOya at Rambukkana. Orphanage feeds for more than 100 Elephants. Program Early morning take visit to Fish Market in Negombo, back to hotel refresh, breakfast and proceed to World’s largest Elephant Orphanage in Pinnawela. Observe more than 100 Elephants are been fed, whole herd marching towards the river and bathing. Reach Sigiriya/ Habarana for the evening. Notes/ Tips Feeding milk can be done during feeding time 09:00 am, other than that feeding is not entertained. Program Early breakfast and climb UNESCO protected Sigiriya Fortress Rock and Ritigala. Take a village safari at Hiriwaduwna village. You will be taken by bullock cart through lush green paddy field, a canoe ride across the lake, authentic Sri Lankan lunch and tea. Afternoon explore Minneriya/ Khaudulla national park by jeep. Relax the evening. Notes/ Tips Not advisable for senior citizens, they can remain in the hotel and join for the next activity. Basic walking shoes will be fine for the climb. Program Breakfast, visit Rock Temple, Golden Temple and proceed to Kandy, en route stop at Spice & Herbal Garden, Batik factory, Muththumariamman temple in Matale. Reach Hunnasgiriya Knuckles range by afternoon and get settled at the scenic mountain range. Program Breakfast, relax and travel to Kandy. Take a city tour including a drive to Kandy city view point, Gem museum and lapidary, and evening 1730 Cultural show at the Kandyan Cultural Center. Evening visit to Temple of the Tooth Relic. Program Breakfast, visit Royal Botanical Garden in Peradeniya and drive to Nuwara Eliya. En route stops at Hanuman Temple, Tea Field, Tea factory and Ramboda falls. Reach Nuwara Eliya get settled at hotel, refresh and take a visit to Seetha Amman Temple, GayathreePdeedam, walk around the little town and spend the evening around Gregory's lake. Program Early morning with takeaway breakfast, proceed to Horton Plain Rain Forest, and walk up to the Word’s end view point and Bakers falls. Take the noon train from Ohia train station to Ella. You will be taken through the best of tea fields of the Island. Your driver will pick you from station and transfer you to hotel. Evening take a visit to Demodara 9 arch Colonial bridge, which is a great scenic view when a train passing. Notes/ Tips If you are keen for 1st class observation cabin, tickets should be booked in advance as per availability. 2nd and 3rd class you can purchase at the train station. Program Breakfast and visit Lipton's seat, Scottish Sir Thomas Lipton used to survey his burgeoning field from this panoramic view point. Which is via Daethenna Tea Estate. Proceed to Ella, visit Demodara 9 arch bridge, one of the old examples of colonial era railway construction with Ceylonese builder. Program By morning 06:00 with take away breakfast explore the Yala National Park. This park harbours 215 bird speices, 44 recorded mammals, and with the highest leopard densities in the world. By noon proceed to Mirissa/ Hikkaduwa/ Bentota, en route stops at Dondara Light House in Matara, Stilt fishing in Weligama, Dutch Fort in Galle and Turtle Hatchery in Kosgoda. Program Relax the morning, by afternoon take a boat cruise on the Island's largest wetland Maaduganga with mangroves and experience a fish therapy. Proceed to Colombo for the evening. 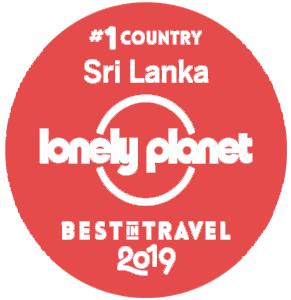 Program Breakfast and City tour in Colombo: City center Pettah, Red Mosque, Colonial capital Fort, Old Parliament, Galle Face Green, Gangarama Temple, Town Hall, Independence Square/Arcade, Colombo City Center and shopping. As per flight schedule transfer to Airport.